Still unidentified people have robbed the ATM of a second-tier Bank in Shijak. 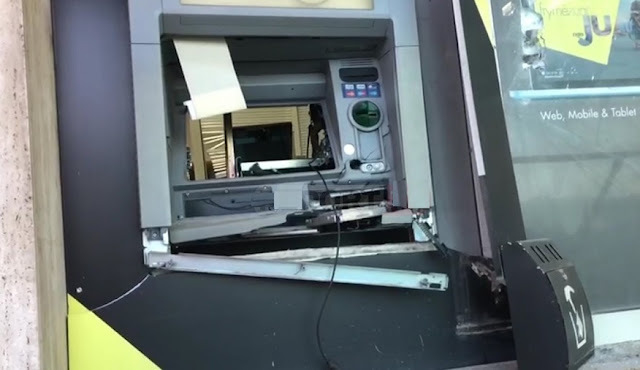 The crime happened overnight, as the authors have broken the cash machine by taking the money and getting away quickly. The amount of looted money is still unknown. The same ATM was attempted to be robbed a few weeks ago. Police forces continue investigations to identify and capture the perpetrators. "On February 2019, 14, in the early hours of the morning, unidentified persons steal an ATM from a second-tier bank. Police went to the scene, where they are working to identify and cach the perpetrators," said the police.